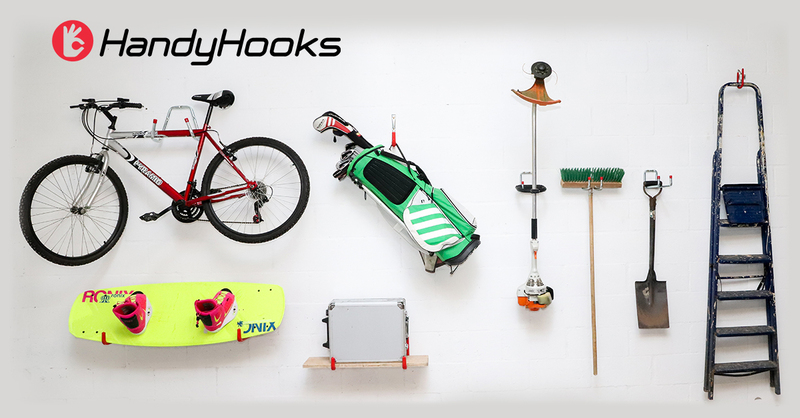 Handy Hooks are the complete solution to any storage space. Handy Hooks rails are quick and easy to install. The heavy steel construction provides extra durability and endless possibilities. The wide range allows a storage solution for basically anything in your home, garage or office space.